The Vancouver Airport is the entry point for many international visitors arriving in Canada. If you have the time you can self drive from the west coast to the Rocky Mountains or vice versa. The best time to do the drive is in the summer or early fall. All the roads are paved and well maintained, but driving 850 kilometers and up and over several mountain passes is certainly not for everyone. There are many different routes to take. The amount of time you have will likely determine which one you choose. There’s opportunities to visit interesting towns and scenic spots along the way. After doing some research you can decide what appeals to you and start planning your trip. The drive between Vancouver and Banff or Jasper can technically be accomplished in one day, but it would be pointless to do it all in one stretch. At 8 to 10 hours of driving time it makes for a long and tiring day. This doesn’t allow for any time to enjoy the sights or spots of interest along the way. We recommend breaking up the drive with at least one overnight stop or more if you have time. Kamloops is not the most interesting town, but it’s a popular halfway point to find accommodation. For something a bit more scenic you can try the areas of Salmon Arm, Sicamous or Sorrento. Kelowna or Vernon are options if you are traveling through the Okanagan Valley. Whatever driving route you choose between Vancouver and the Rockies it’s inevitable that you are going to pass through natural beauty. The main route to Banff along the Trans Canada Highway is incredibly scenic, it follows along several rivers and cuts through National Parks. In some places where it passes through small towns or rural areas it narrows down to only two lanes. At times you may question that you’re actually on the Trans Canada Highway. If you have extra time you can go into the Okanagan Valley with its beautiful lakes and many wineries. 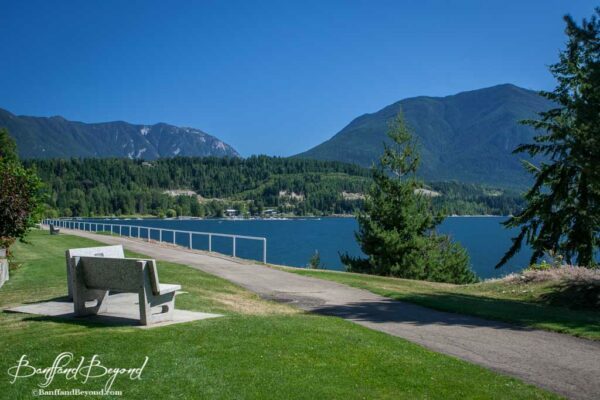 There’s small and charming towns in the West Kootenays like Nelson, or tranquil areas like the Arrow lakes and Nakusp. Further south you can go through Osoyoos and Cranbrook, coming up through Radium Hot Springs and Kootenay National Park along the Banff-Windermere Parkway (Hwy 93S). For all the routes listed below the time given is the average driving time, it doesn’t account for any stops for fuel, eating, sightseeing or rests. There can be delays due to heavy traffic, accidents and road construction. Keep in mind that when you drive west to east you lose an hour when the time changes near Golden, B.C. from Pacific Time (GMT+8) to Mountain Time (GMT+7). When traveling east to west you gain an hour. This is the most common route between Vancouver and Banff or Calgary. You can do this drive by going entirely along the Trans Canada Highway #1. At Hope you continue northwards through the Fraser Canyon. This is a winding and slower traveled but scenic section of the highway. The other option is to take advantage of the Coquihalla Highway (BC-5N) to connect from Hope to Kamloops. It’s a faster freeway that goes straight over the mountains cutting off over an hour of driving time. With either choice the route goes through the scenic mountains at Rogers Pass in Glacier National Park, Revelstoke, Golden and Yoho National Park and then into Banff National Park. There are so many variations to get between the west coast and the mountains. If you are doing a return trip take a separate route for each direction to experience different scenery and towns. Check out the Hello BC website for a 7 to 10 day long return driving route between Vancouver and the Rocky Mountains. It allows you to take in a bit of everything that areas have to offer. The Fraser Canyon, Kamloops and SunPeaks Resort, Clearwater and Wells Gray Park, Mount Robson, Jasper and the Icefields Parkway, Yoho National Park, Golden and Revelstoke. Instead of going through Kamloops this route takes you through the Okanagan Valley passing by beautiful large lakes and through areas dotted with fruit orchards and wineries. At Merrit you cut across to Kelowna and go through the Okanagan and Lake Country. Eventually you meet up with the Trans Canada Hwy at Sicamous and then continue east onto Banff. If you have time to do some exploring south of Kelowna you can check out places like Peachland, Summerland and Penticton. After traveling from Vancouver to Hope you can keep south following the Hope-Princeton Hwy #3 and continue through Manning Provincial Park and onwards to Osoyoos. Osoyoos is an area of fruit orchards and wineries. 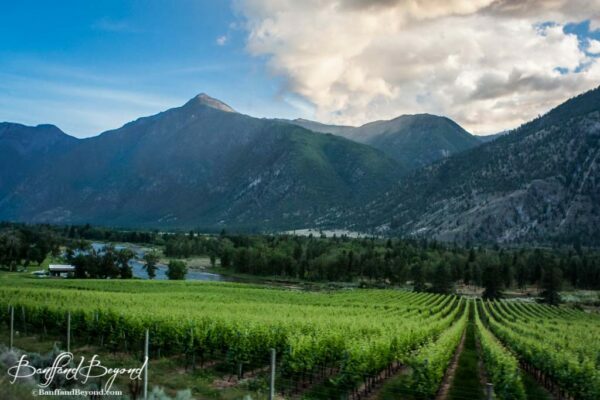 From Osoyoos continue to Grand Forks and Castlegar and to the charming town of Invermere. Then head north on the Banff-Windermere Parkway (Hwy 93S) that cuts through Kootenay National Park. Make a stop at Radium Hot Springs to soak in the mineral pools or enjoy one of the many scenic hikes in places such as the Marble Canyon or to the Paint Pots. The route along Hwy 93 ends where it intersects with the Trans Canada Hwy near Castle Junction, halfway between Lake Louise and Banff. This route take you along the Hope-Princeton Highway #3 through Manning Provincial Park and gives you a great taste of the Okanagan Valley going through a fertile area with hundreds of wineries and fruit farms. Osoyoos boasts the warmest fresh water lake in Canada, the sandy beaches make it perfect for swimming. 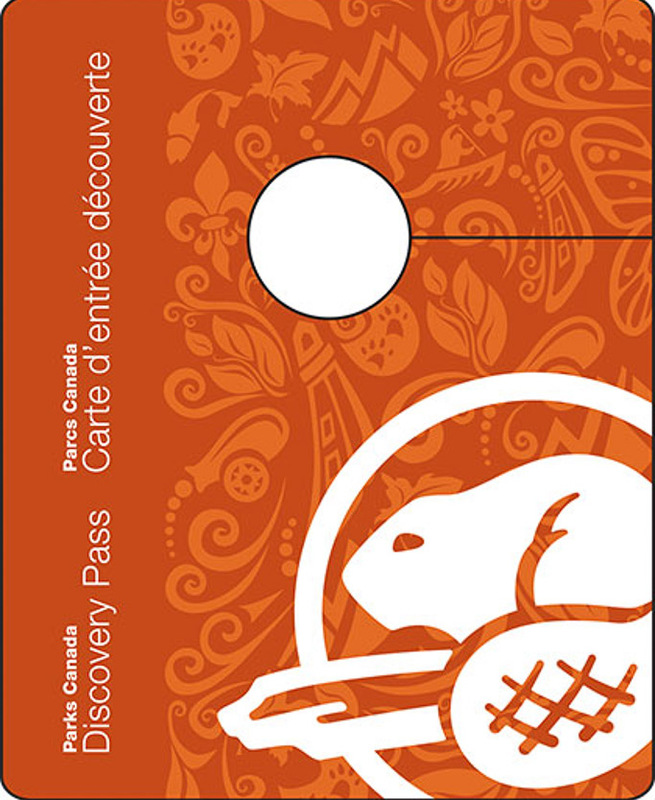 It’s also Canada’s only arid desert with rare plants and animals not found anywhere else in the country. The towns of Peachland and Summerland are beautiful areas for hiking and biking. At Castlegar another option is to head north through the West Kootenays to the beautiful and tranquil area of Arrow Lakes and Nakusp. Take a small side trip to the charming and artsy town of Nelson. You have the option of driving from Vancouver to Jasper reaching Kamloops by either the shorter Coquihalla route or by staying on Hwy 1 and going through the Fraser Canyon. From Kamloops head north on Highway 5 and then east on Highway 16 to Jasper. From Jasper take the scenic Icefields Parkway Hwy 95N to Lake Louise and onto Banff. Driving from Vancouver to Jasper on this route will be approximately 8.5 to 9.5 hours via the Fraser Canyon. From Jasper to Banff along the Icefields Parkway is another 3.5 to 4 hours depending on the traffic. Between Kamloops and Jasper a popular stop is Wells Grey Provincial Park and Helmcken Falls with an overnight in Clearwater. Stop at Mount Robson Park to see the highest peak in the Canadian Rockies before heading into Jasper. Instead of heading to Kamloops from Cache Creek this route continues north to Clinton and Lone Bute and then cuts across Hwy 24 to Little Fort where you continue on to Clearwater and Jasper. 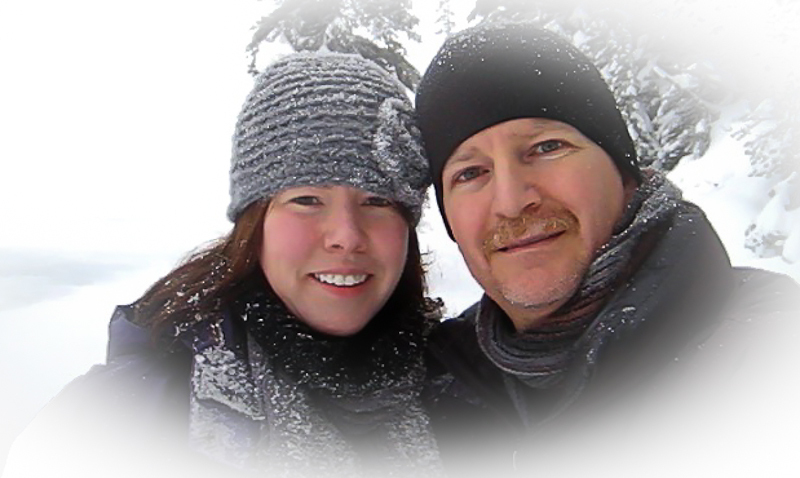 If you have time you can add Whistler to your itinerary. Many visitors coming from places such as the U.K. and Australia want to go to Whistler because it’s been very effectively marketed to them. We don’t suggest making a special trip to the west coast just to see Whistler. If you are heading to the coast anyways and have lots of time then by all means add it to your plans. We think time would be better spent on beautiful Vancouver Island in the charming city of Victoria or the beautiful and the rugged and beautiful west coast of the island near Tofino. 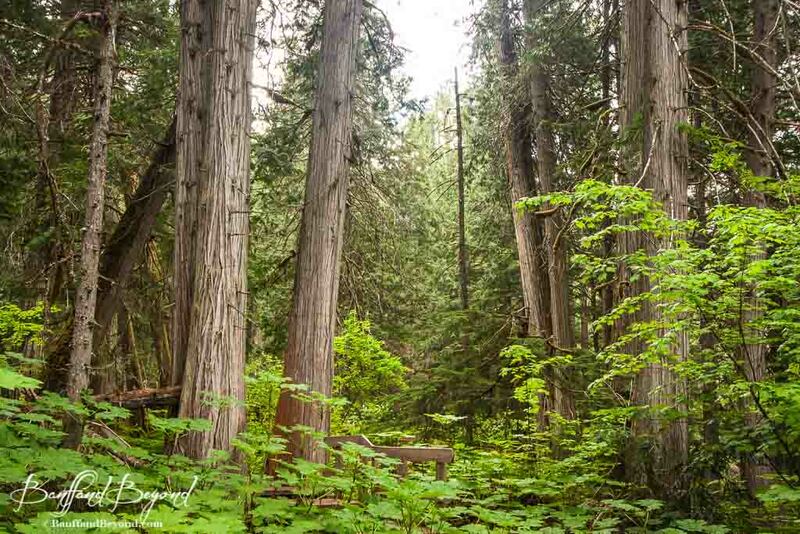 Make a stop to see the towering trees of the old growth forest of Catherdral Grove along the way. If you’re short on time we don’t recommend giving up days in the Rocky Mountains for Whistler. Whistler is a pretty area but it just can’t compare to the Rockies. Vancouver-Whistler-Pemberton-Lillooet (Hwy 99) to the interior that connects to Hwy 97 at Hat Creek north of Cache Creek, then Hwy 1 to Kamloops, Hwy 5 and then Hwy 16 to Jasper. With so many choices how can you figure out which route to take? There’s not really a best route. If time is short just follow the Trans Canada Highway. You don’t have to worry about losing out on beautiful scenery and it’s the quicket and most convenient option. We have not personally driven the route branching off from Kamloops to go to Jasper, but we have been told it’s not as scenic through that section. However, if that’s going to be the only way you have time to travel along the Icefields Parkway from Jasper towards Lake Louise and Banff then do it. 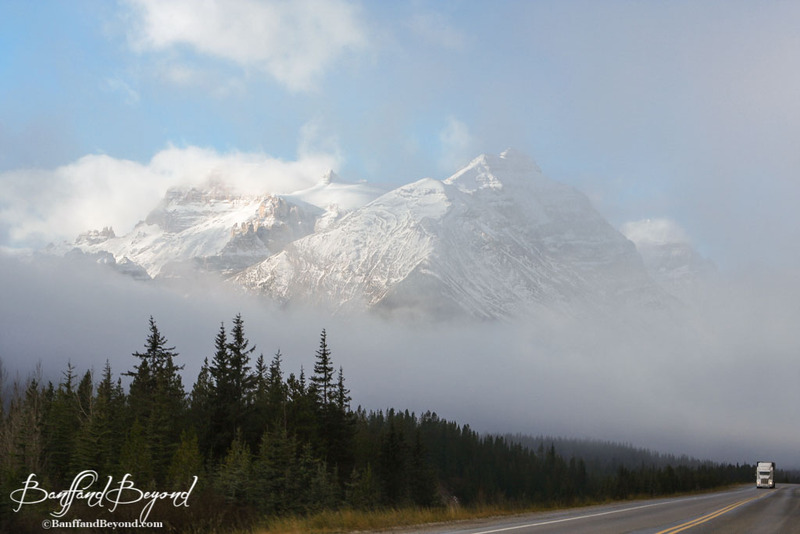 Missing out on the stunning scenery and attractions along the Icefields Parkway would be a shame. If we have time our personal favourite way to drive is to go through the Okanagan Valley, we love the scenery along the large lakes, but we also enjoy places like the charming little towns of Nakusp and Nelson. There’s just too much to see! Which Direction Is Best, East To West Or West To East? We can only speak for the main Trans Canada route in this regard and it’s variations such as going throught the Okanagan Valley etc. but we feel traveling from Vancouver heading east is the most exciting way to drive. This is especially true if you have never seen the Rocky Mountains or big mountains in general. The drive is full of anticipation as you gain elevation along the route and start to get closer Rockies. If you start in the mountains the drive is somewhat anti-climatic as you head west towards Vancouver. The scenery is pretty on the entire route but becomes more subdued along the way. The one exception to driving east would be the view from Calgary as you approach Canmore and Banff. There is one very awe inspiring moment when suddenly there’s a view of a long straight stretch of road running through a vast flat landscape for as far as you can see. It’s back dropped by an incredible sight of the mountains. As you get closer to them it’s pretty intense when suddenly they are right in front of you and you realize your about to drive right into them. Here’s a list of great resources for planning your trip. On many of the sites you can drag different highlighted routes along the map to get distances and average driving times. There’s also web cams that will give you an idea of what the roads look like and their current conditions. It’s not advisable to go through the mountains from November through March unless you are experienced and skilled in winter driving. Snowstorms can occur through April and even into the month of May on high elevation roads and mountain passes. October is also a transitional month where the weather can range from sunny and beautiful to extremely poor. The best option in the winter is to fly directly into Calgary or take a short flight from Vancouver to Calgary. 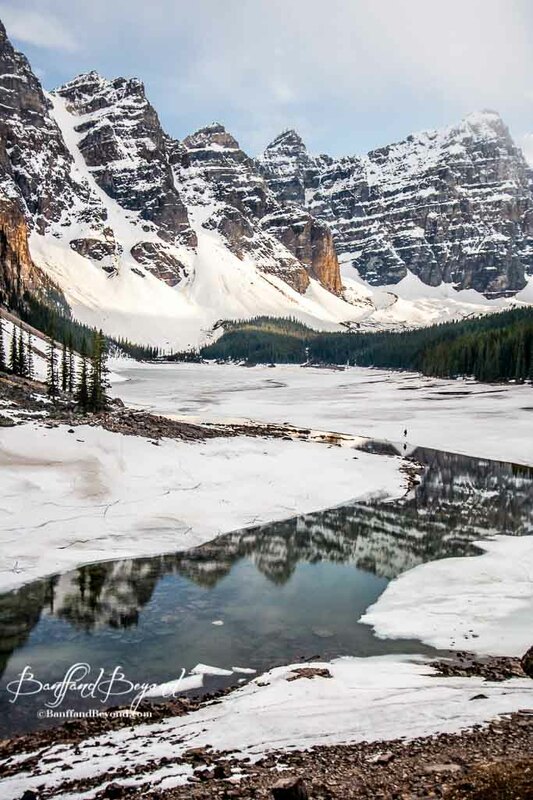 It’s easy to visit the Rocky Mountains from there, Banff is just 1.5 hours west.